An elderly motorist whose careless driving caused the death of a ten-year-old boy in Retford has been handed a suspended prison sentence. Edwin Vickers was behind the wheel of a Nissan Micra which collided with Seth Bartle on Tiln Lane at around 3.50pm on Monday January 15. Pictured is deceased Seth Bartle. Courtesy of Nottinghamshire police. Seth, a pupil at Carr Hill Primary School, was airlifted to hospital but sadly died six days later. 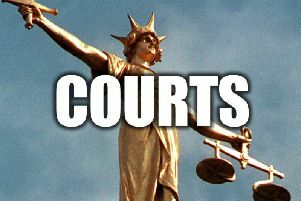 At Nottingham Crown Court on Friday, Vickers, 77, of Bigsby Road, Retford, was given a 16-month suspended prison sentence and banned from driving for three years. He previously admitted to causing the youngster’s death by careless driving. Vickers had been driving a recently-delivered hire car and admitted he wasn’t familiar with all the controls. Detective Constable Steve Willetts, from the Serious Collision Investigation Unit, added: “This has been an extremely tragic case for everyone involved. “Vickers was unable to control the vehicle as he was unfamiliar with the controls. Seth’s death has been incredibly distressing for his family, fellow students, parents and teachers and also for those who witnessed the collision and tried to rescue Seth.